A rainy day doesn’t have to be boring! 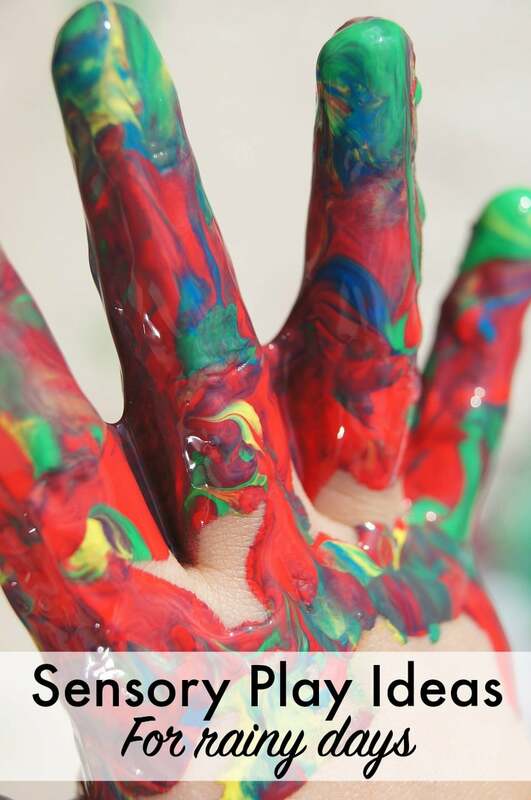 My kids love art / sensory projects and being stuck indoors is a great time to pull those out. 1. Blank Canvas. Tape a paper or plastic tablecloth to the wall. The paper tablecloths are great for crayons and watercolors, but do tend to tear more easily. The plastic works better with markers or paint. A second tablecloth can be placed on the floor to catch drips. Let your Picasso enjoy! 2. Treasure Hunt. Fill a bowl or plastic bin about halfway with dried beans or uncooked rice. Find small toys / objects around the house and bury your items. Kids can use a spoon, small shovel or their fingers to dig for treasure. Another idea is to have two bowls. Use measuring cups to scoop and transfer from one bowl to another. To help with easier clean-up, we sit on a beach towel or sheet to work. 3. Play dough. Always a favorite. There are lots of accessories you can purchase, but a few kitchen supplies work just as well. I look in the kitchen section for cookie cutters, rollers, or anything else I see that looks fun. If your child is ready, using a plastic knife and fork or safety scissors to cut play dough is a great way to practice cutting skills. In the toy section, you can usually find small animals. Pressing their feet into your play dough creates “tracks”. If you prefer the mess contained, use a large cookie sheet as a project tray. 4. Shaving Cream Art. Put a small dollop of shaving cream on the table or tray. Show your child how to spread it out and then use their fingers to “draw”. One caution about shaving cream – a little goes a long way. If they’re working with a small amount, eventually the shaving cream will almost “disappear”. They think it’s magic and clean-up is a breeze. Finger paint can be added, as well. How do you make it through a rainy day? Which of these activities would your kids most enjoy? I love this simple list. I think my favourite out of those is the treasure hunt. So cute. Great selection of activities! Today is the ideal day! Thank you for sharing! 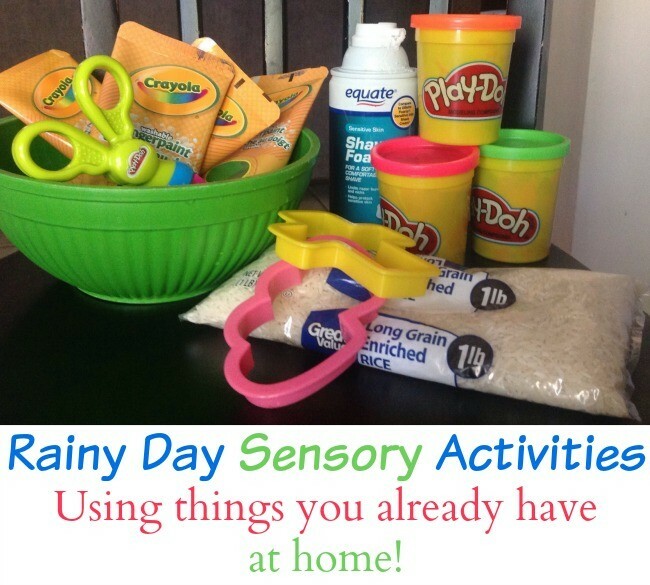 Hey Buddy!, I found this information for you: "Rainy Day Sensory Activities (Using things you already have at home)". Here is the website link: https://www.beautythroughimperfection.com/rainy-day-sensory-activities/. Thank you.